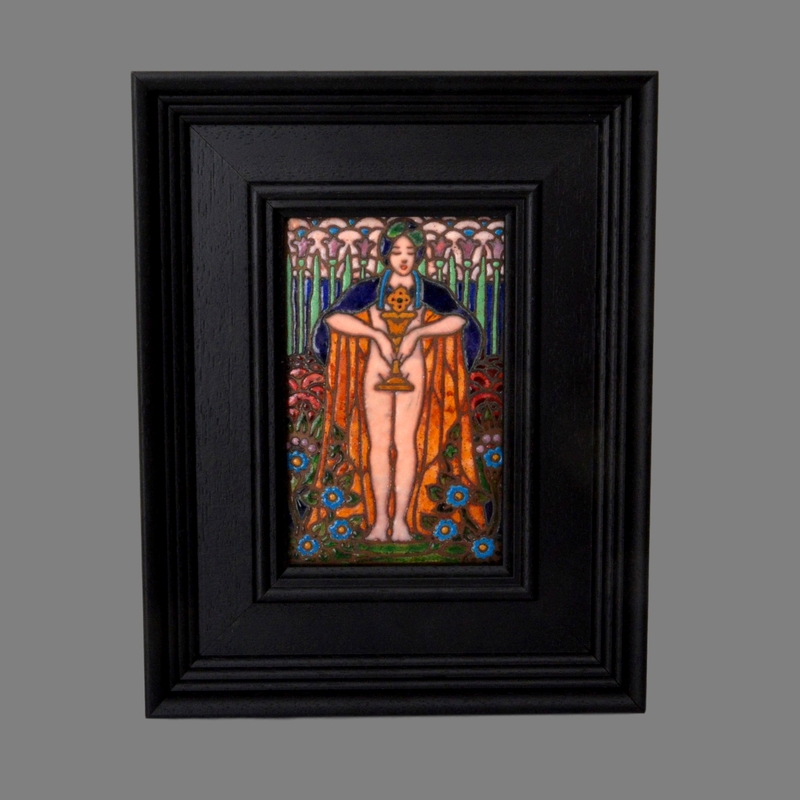 This is a rare American arts and crafts enamel plaque, made around 1915. It depicts a stylized Egyptian priestess but also shows the influence of the Glasgow School. Almost certainly from the Pittsburgh area from which an original framing label has been preserved. Size: Visible plaque: 14cm high, 9cm wide.